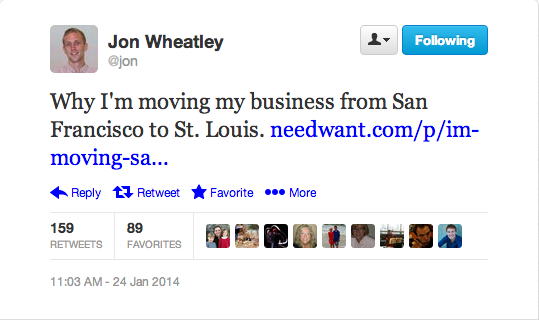 On Friday, John Wheatley, co-founder of Need/Want, tweeted the link to a blog post he wrote about why he is moving his startup from San Francisco to St. Louis. And by madness I mean a flurry of re-tweets, follows, shout outs, welcomes, recommendations and invitations for coffee. 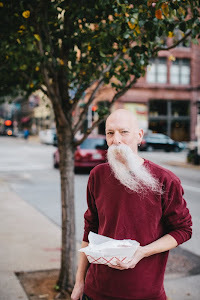 Many from some of the most influential in the St. Louis Twitter-sphere and startup scene. Oh, right, and media coverage (so far) from KMOX, the St. Louis Fox station and the LA Times. I knew the post was coming because I happened to run into Wheatley's co-founder Marshall Haas's girlfriend Tara Pham a week or so ago while at coffee with a mutual friend. She was putting together the recommendations for the post and the mutual friend is associated with the Contemporary Art Museum - one of the number of places listed as an example of why St. Louis is great - and she was checking on guidance for their preferred photo. Immediately I thought, "brilliant." 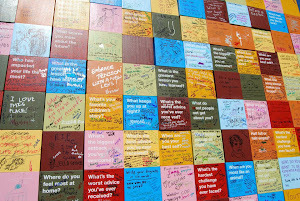 Knowledge of the existing conversation. St. Louis is obsessed with being awesome. Our tendency to need to play the comparison game sometimes feels too negative to me, but it's what we do. Baseball and beer and pointing out why we're awesome. The startup scene is getting a good deal of buzz, finally, after many years of some very passionate people putting a lot of effort behind its care and growth. Distribution by inclusion. The act of including and checking with the locations, organizations and businesses mentioned in the post allowed them a genuine sense of ownership and buy-in before the post ever went live. It made them part of the story with a small stake in the outcome. It was a given that it would be shared and retweeted and cheered. Making news not waiting for it. That it had a readymade and public set of distribution channels to land in made it an event independent of and consequently interesting to traditional news outlets. This kind of thing is on the list of things they are looking for. They want in on the conversation too. This scenario set up a situation where the news outlets were coming to them, not the other way around. They mean it. This was not a fabricated high-production publicity stunt. This was a person, with an investment and passion for his work, sharing his genuine thoughts on where its headed next. This happened to intersect with a number of very active and very engaged ongoing conversations. Need/Want simply joined the conversation publicly and new how to simultaneously leverage that to serve their overall goals. No shame. A transparent exchange. I tweeted. I shared. The tone of the article and the way in which they offered an outside perspective on my city made me interested in learning more about these guys and their company. And in that process I found the iPhone case I've been looking for for two years (seriously, ask anyone who spends time with me about my ongoing dilemma about my "naked" iPhone). Which is the whole framing of their company ("making products that solve problems"). And because I signed up for their newsletter, I'll get 15% off when I buy it later today. That, I believe, is the exact desired outcome of PR. And that's how it works in 2014.